Many years ago I read something that deeply touched me. Though I no longer recall exactly where I read it, I still think about it a lot. What I have written below is adapted from what I read so long ago. If you awoke this morning with more health than illness, you are blessed. There are millions so sick they will not survive this week. If you have never experienced the danger of battle, the loneliness of prison, the agony of torture, or pains of starvation, you are blessed. Five hundred million people around the world experience these things on a regular basis. If you own just one Bible, you are blessed. One-third of the world does not have access to even one Bible. If you are able to attend a church meeting without fear of harassment, arrest, or death, you are blessed and should be thankful. Three billion people in the world cannot do that. If you have food in your refrigerator, clothes on your back, a roof over your head and a place to sleep, you are blessed. These simple things make you richer than 75% of people in this world. If you have money in the bank, money in your wallet, and some spare change in a dish somewhere around the house, you are blessed. In fact, you are among the top 8% of the world's wealthy people. If you can read this message, you are blessed. There are 2 billion people in the world who cannot read anything. Think about how blessed you are today before you complain about some minor frustration you experience. 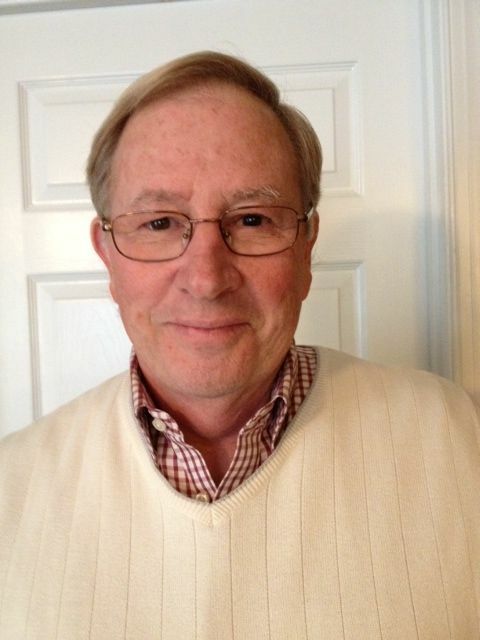 Dr. Jerry White serves as pastor of the Casey Creek Baptist Church in Chesnee, South Carolina and is a professor at Fruitland Baptist Bible Institute in Hendersonville, North Carolina. When we are trying to make big decisions we are often filled with confusing emotions. Some decisions may not seem life changing, but if we keep making even small decisions poorly, over time they have a big impact on our lives. Many of the ways we make decisions are not wise, such as flipping a coin, or going to a palm reader. Other ways we make decisions are only partially helpful, such as discussing it with a friend who may not have the experience needed to give us a good answer. We need a set of objective filters that we can run our options through to help us make good decisions. 1. To Make Good Decisions, FIRST: Commit to do whatever the Bible says. If a decision would go against the Bible, it is a decision that will eventually lead to more pain and difficulty in our lives than we would have had to experience. • The Bible will keep us from evil choices. • The Bible gives us God’s judgments, which are always superior to people’s judgments because God sees the whole picture but people only see part of the picture. • Following the Bible leaves a “sweet” taste in our spirit. • The Bible sheds light in the darkness. • It is important not to misuse the Bible. It is tempting to twist a verse to make it say what we want it to say. To avoid misusing the Bible, we must study it in the context in which it was written. • The Bible is not a weapon to be used to crush our enemies, it is a guide for successful living. 2. To Make Good Decisions, SECOND: Spend time praying. We are unlikely to make good decisions if we have not spent quality time praying about the choices we have to make. 12 During those days Jesus went out to the mountain to pray and spent all night in prayer to God. 13When daylight came, He summoned His disciples, and He chose 12 of them to be His apostles. • In Luke 6 Jesus was trying to decide who He would choose to be His apostles. This was a huge decision because the apostles would be the ones to carry on the work of Christ after He was crucified, risen and ascended back to heaven. Jesus spent all night in prayer about which people to choose as His apostles. • Too often we either skip prayer, or only pray for a short while, before making a decision. • We need to pray long and hard about the decisions in our lives. • The Holy Spirit uses prayer to clarify things in our minds and hearts helping us to know which choices to eliminate and which to continue to consider. • Though we may start with a large number of options, after Bible study and prayer, our list of options is usually much shorter. • Having a short list is very freeing to the spirit. 3. 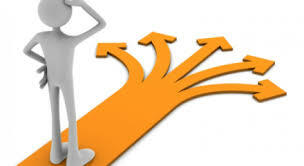 To Make Good Decisions, THIRD: Focus on one option at a time and research it well. It is easy to get sidetracked by too much information when we are trying to make a big decision. That usually results in us making a bad decision. • To keep from being overwhelmed by too much information, we should first narrow our options through Bible study and prayer. • Then once we have a short list of possible answers, we should focus on one option at a time. • The scripture tell us to “fix our gaze straight ahead.” We cannot look in four directions at once if we hope to make a good choice. • The scripture tells us to carefully consider the path. We often make choices without doing adequate research. We should do the research needed to make a wise choice. 4. To Make Good Decisions, FOURTH: Consider how our decision impacts others and make the choice that is BEST for everyone involved. When this scripture was written, many people worshipped idols instead of God. A big part of idol worship was to leave a piece of meat in front of the idol for it to eat. Obviously the meat was never eaten by the idol because it was just a statue, not a living being. After the meat had sat around a while, it would be sold at the market to generate money for the idol’s temple. The meat was sold at a significant discount because it was old. Some Christians bought this cheap meat because they were poor and it was all they could afford. Other Christians thought this meat was cursed because it had been used in idol worship. This was causing conflict between Christians. The apostle Paul said that since the idol was just a statue, it had no power to curse the meat. Therefore, if Christians wanted to eat it, they could. BUT – Paul also pointed out that if eating the meat was going to confuse some Christians who did not understand that it was okay, then he would personally not eat it. The point Paul was making was that Christians should take into consideration how our choices affect the people around us. • Though we live in a very “me-centered” culture, Christians are called to think of others. • We are all part of various groups (family, church, workplace, sports team, life-long friends, clubs, etc.) and the choices we make impact those groups. • Christians should take that impact into consideration when we make decisions. • This does not mean that Christians should be slaves to peer pressure. It just means we should think about how our actions affect others and do what is best for all. • By the way, doing what is BEST for all is different than doing what makes everyone HAPPY. • Happiness comes and goes, but we will never regret making a wise decision that is BEST for all. 3. Focus on one option at a time and research it well. There is such a mystery that surrounds dinosaurs, and so many questions. Did they actually exist, what happened to them and are they millions of years old? People, young and old, are fascinated by these monster lizards. I certainly think dinosaurs existed. Fossils and bones have been found throughout the world and scientist have been able to reconstruct many of these bones, so we know how they probably looked. Evolutionists want you to believe these creatures lived millions and millions of years ago. Actually, I find no conclusive proof that they were around more than several thousand years ago. It is almost too convenient how evolutionist are trying their best to use dinosaur bones to disprove the Genesis story of creation. "The amount of time that it takes for a bone to become completely fossilized is highly variable. If the groundwater is heavily laden with minerals in solution, the process can happen rapidly. Modern bones that fall into mineral springs can become fossilized within a matter of weeks." This is really quite a revelation. "Evolutionists are convinced that all dinosaur bones must be at least 65 million years old. Those who take Genesis as real history would predict that no dinosaur bone is more than a few thousand years old." Creation scientists believe they can solve any of the supposed dinosaur mysteries and show how the evidence fits wonderfully within their ideas and beliefs that come from the Bible. The well know Creation author, Carl Wieland, wrote in his article, "Sensational Dinosaur Blood Report", 1997; how numerous dinosaur bones had been further tested to reveal those which still contained red blood cells and hemoglobin. No way were these bones millions of years old. He further wrote: "An even more spectacular example was found on the North Shore of Alaska, where many thousands of bones lack any significant degree of permineralization (fossilization). The bones look and feel like old cow bones, and the discoverers of the site did not report it for twenty years because they assumed they were bison, not dinosaur, bones." Job 40:15-17 The Message (MSG); "Look at the land beast, Behemoth. I created him as well as you. Grazing on grass, docile as a cow. Just look at the strength of his back, the powerful muscles of his belly. His tail sways like a cedar in the wind; his huge legs are like beech trees." "Although some Bible commentaries say this may have been an elephant or hippopotamus, the description actually fits that of a dinosaur like Brachiosaurus. Elephants and hippos certainly do not have tails like cedar trees!" 1. Most fossil dinosaur bones still contain the original bone, making them much younger than "millions" of years old; to more likely mere thousands of years old. 2. Even when heavily permineralized (‘fossilized’), this does not need to require more than a few weeks. The Creation/Flood scenario for fossilization would require only weeks or at most centuries for such permineralization to occur, not millions of years. 3.Where bones have not been protected by permineralization, (fossilization) they are sometimes found in a condition which to all intents and purpose looks as if they are at most centuries, not millions of years old. Do we dare say that evolutionist and some scientist would lead us astray? Would books be allowed in our schools that only teach the "old age" version of creation? Would a version that ONLY teaches evolution and that dinosaurs came before man and are millions of years old; be allowed in our schools? 2 Peter 2:1-3 The Message (MSG); "But there were also lying prophets among the people then, just as there will be lying religious teachers among you, (scientist, educators). They’ll smuggle in destructive divisions, pitting you against each other—biting the hand of the One who gave them a chance to have their lives back! They’ve put themselves on a fast downhill slide to destruction, but not before they recruit a crowd of mixed-up followers who can’t tell right from wrong. They give the way of truth a bad name. They’re only out for themselves. They’ll say anything, anything, that sounds good to exploit you. They won’t, of course, get by with it. They’ll come to a bad end, for God has never just stood by and let that kind of thing go on." 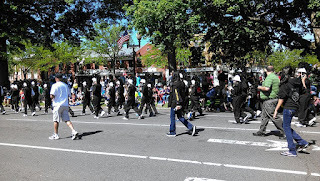 Yesterday I enjoyed a Memorial Day Parade in West Hartford, CT. I enjoyed seeing the community come together in support of the families of veterans who gave their lives in service to our nation. It was very moving to hear the sustained applause that kept coming in wave after wave as the surviving veterans walked by. The police department, fire department and other community organizations also were walking in the parade. So I got to see a lot of community leaders all at once. I could not help but notice that almost all the adult men in the parade were white. Policemen, firemen, veterans, almost to a man, were Caucasian. The reason that stood out to me was that since moving to the greater Hartford area two months ago, one cannot escape noticing the high degree of racial integration that exists in Connecticut. So it really stood out when suddenly all that diversity was gone and it was just a bunch of older white men, with a handful of white women, parading by. That is, until the school bands rounded the corner. When the high school bands came by, I noticed a handful of non-white faces in the various bands. But it really got noticeable when the middle school bands came by. Though I did not take a scientific count, I am guessing 20-30% of the middle school band members were not white. Whatever race West Hartford may have been in the past, it clearly will not be in the future. This is important to take note of because that is the future of America. Though in the past racial segregation may have prevailed in our nation, and perhaps still does in certain population pockets, that is increasingly less true. More and more young people come from a variety of racial backgrounds. And young people really do not seem to mind. To them, it is about how good of a friend you are, not the color of one’s skin. From my perspective, this is a good thing. Churches, and other faith based groups, that want to survive into the next generation had better come to grips with this reality. Though there is a place for ethnic churches when language barriers exist, increasingly the next generation is going to expect the church they attend to look like the marching band from the local middle school. And when churches can see that happen, we will be one step closer to the fulfillment of Revelation 7:9-10. Come, Lord Jesus, Come. For eight years I was the bivocational pastor of Faith Community Church in Barre, Vermont. The church started in my home with two other families and eventually grew to over 200 in worship. From the beginning, the congregation tended to attract young people from difficult situations. In time, many of families those young people came from, also found their way into the church. My wife and I, and the other elders, loved them, cared for them, and did all that we could to help them find health and joy through faith in Christ. Many such families were gloriously transformed by the power of the gospel. While there were numerous means that God used for these transformations, one of them was a focus on finding hope in the midst of adversity. Far too many people think they cannot find hope, joy or peace until all their troubles go away. That is unrealistic. We live a sin-cursed world and trouble is all around us. Part of maturing spiritually is learning to find hope and joy in the midst of all of our struggles. 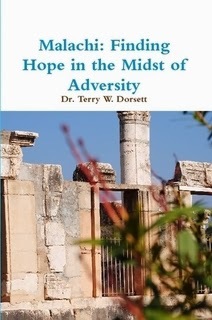 Part of helping the congregation find hope in the midst of adversity included preaching through various sections of the scriptures that highlighted victory over circumstances. One such series of sermons that I preached at Faith Community Church revolved around the book of Malachi. The study showed how the announcements of coming judgment in Malachi actually contain a thread of hope that helps Christians understand the refining process of adversity. Though learning how to recognize hope in the middle of difficulty can be hard, it is possible. So many people asked for the notes that I published them on my blog, www.terrydorsett.com. Our church also made a DVD set that sold out each time we did a duplication run. Realizing that these materials seemed to meet a spiritual need in the lives of many people far outside the scope of ministry at Faith Community Church, I decided to put the study into book form. The book is laid out in seven lessons which contain historical context, theological truth and practical application. It can be used individually, or as a small group study. It is my prayer that this book will help people who are experiencing real challenges in their lives find hope through faith in Jesus Christ. Though I have now moved away from Faith Community Church, my heart still aches for those going through deep pain and adversity. In my new church planting ministry in the greater Hartford, Connecticut area, I continue to meet people who have been beat up by the struggles of life and need hope. I pray that God continues to use this book to help people find hope in Him. All of the proceeds from the sale of the book support our family’s ministry to hurting people. The basic idea of, 'does the Bible mention dinosaurs', is much more complex and far reaching than we may realize. It effects our belief in the actual six day theory of creation, the age of the earth and even evolution as well as other theories. There are those who feel the earth is over 4 billion years old and there are those that use the accounts in Genesis, such as Noah's age, genealogy, the resting of the Ark, etc., to determine the earth being 6,000+ years old. Those who believe in the older age of the earth, tend to hold that the Bible does not mention dinosaurs because dinosaurs were to have died out millions of years before man. Those who believe in the younger age of the earth tend to believe the Bible does mention dinosaurs. The Bible does not actually use the word "dinosaur". Many Biblical scholars look at the Hebrew word; "tanniyn". It is often translated as "sea monster" or a giant "serpent" but is most commonly thought to mean "dragon". Whatever the translation, it is certainly used to denote a giant reptile. I have read where the KJV of the Old Testament uses tanniyn 28 times: 21 as a dragon, 3 as a serpent, 3 as a whale, and 1 as a sea monster. Ezekiel 29:3 King James Version (KJV); "Speak, and say, Thus saith the Lord God; 'Behold, I am against thee, Pharaoh king of Egypt, the great dragon that lieth in the midst of his rivers." Isaiah 27:1 King James Version (KJV); "In that day the Lord with His sore and great and strong sword shall punish leviathan the piercing serpent, even leviathan that crooked serpent; and He shall slay the dragon that is in the sea." Job 40:15-24 King James Version (KJV) Selected; "Behold now behemoth, which I made with thee; he eateth grass as an ox. Lo now, his strength is in his loins, and his force is in the navel of his belly. He moveth his tail like a cedar: the sinews of his stones are wrapped together. His bones are as strong pieces of brass; his bones are like bars of iron. Surely the mountains bring him forth food, where all the beasts of the field play. Behold, he drinketh up a river, and hasteth not: he trusteth that he can draw up Jordan into his mouth. He taketh it with his eyes: his nose pierceth through snares." The Hebrew term, tanniyn, applies to some form of a monster, either marine or land. Many scholars believe Scripture writers used tanniyn to describe images of dinosaurs in the Bible. Even if the Bible does mention dinosaurs; are not dinosaurs supposedly millions of years old and Genesis places the earth at 6,000 ish years old? There have recently been several revelations where dinosaur bones, thought to be millions of years old, have been cut in to, only to reveal tissue that no way could be more than several thousand years old. Genesis 1:1 King James Version (KJV); "In the beginning GOD created the heaven and the earth." 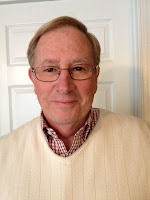 I am pleased to introduce an exciting new church planting effort in Connecticut which we are calling the Hartford Project. 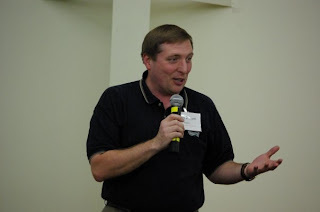 The Hartford Project is a strategic gospel mission targeting the Connecticut River Valley. 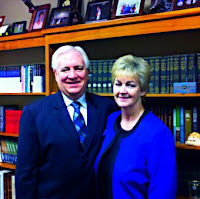 It is the convergence of years of focused preparation and a passion to take the gospel where the gospel is most needed. In the summer of 2013, church planter Steve Thiel and his young family will put down roots in Greater Hartford to launch a gospel-driven church which, by God’s grace, will become the epicenter of a church planting movement in the Connecticut River Valley. See the Church Planting Prospectus. View the Thiels' May 2013 newsletter. View the Thiels' March 2013 newsletter. View the Thiels' January 2013 newsletter. Some people decorate their homes in a Victorian style. Others use a modern style. Still others go for a minimalist look. My wife and I have decorated our home in the style known as Early American Yard Sale. Pretty much every room has some treasure we found at a yard sale (or as they are often called in New England - tag sales), estate sale or church bizarre. Recently we were at an estate sale just two blocks from our home. We had actually been on the way to a different sale when we saw two boys holding handmade signs with arrows. The boys were jumping up and down and clearly excited about the sale they were promoting. It amused us so we decided to alter our plans and go to the estate sale. When we got there we met Sally. * Sally explained that it was her mother's home, who had recently passed away at 91 years of age. The home has sold quickly and the closing date was only two weeks away. Sally needed to get rid of everything in the house in that two week time frame. As Sally talked, she got very emotional over the recent loss of her mother. My wife and I could sense Sally's deep pain and our hearts went out to her. I told her that I was a minister and that I would like to give her a hug. She gladly accepted it and while I was hugging her told us that she was a non-practicing member of a non-Christian religion. We talked a bit about it and then she offered to show us some other things in her home that she had for sale. We looked around at various things but I could tell that she was distraught and really wanted to talk more about her mother and spiritual issues that death often makes us think about. Being an avid conversationalist who is comfortable talking about matters of faith, I reopened the conversation with her about her faith. Suddenly twenty minutes had gone by as we sat on her couch talking about faith and spirituality. The religion Sally followed as a child did not believe in Jesus and she knew little about Him. But she did tell me that her religion had taught her that one day a Messiah would come who would bring hope to the world. I was pleased to tell her that Jesus was that Messiah. Though she was not yet ready to make a leap of faith to embrace that reality, clearly she was enthralled by the whole concept. Pray for Sally to continue her search for the Messiah and for that search to end in a commitment to Jesus. *To protect my new friend's privacy, I have changed her name. Please join me in praying for Sally and the Father will translate her name into the right one as your prayers reach heaven. Recently my wife and I moved from a lovely 1860's farmhouse on a hill in rural Vermont to a contemporary condo in a large housing complex just outside Hartford, Connecticut. We made this move so that we would be in a place for God to use us to stir up church planting efforts across the state of Connecticut. We only know a handful of people in Connecticut and most of them are either pastors or in some other type of Christian ministry position. But having been involved in church planting in Vermont for nearly two decades, we know God would connect us to unchurched people at the right time to see something new birthed for His glory in Connecticut. After being here a few weeks, without being able to connect with any unchurched people yet, I was beginning to get a bit frustrated. I earnestly prayed that God would let me share His love with someone who really needed it. Little did I realize how God would do it. Since moving into the condo, our refrigerator messed up several times and stopped working. Though it had a warranty, and the repair costs were covered, it was still frustrating for it to mess up several times, have to throw food away and wait for a repairman to come. The same repairman came twice in a row. He finally he got it fixed by replacing lots of parts. His name is Thomas. * Thomas had a pleasant personality and he and I chatted about various things both times he came. At the end of his second visit I felt led to talk to him about the Lord. To my surprise, he was very open to the conversation and told me he is a Christian who had fallen out of church. We talked about starting a Bible study in our home as a way for him to return to the Lord and try to get back into the habit of going to church again. He seemed very interested. I gave him all my contact info. Now I have to wait for the Spirit to work in his life. I realized that this was the real reason my refrigerator had been messing up, so I could meet Thomas and talk about the Lord with him. God works in mysterious ways and this was just one example. I happen to think that a couple of jars of mayonnaise going bad is worth a soul! I praise the Lord that He can even use a broken refrigerator for His glory. Join me in praying that Thomas will follow through and want to study the Bible with me. *To protect my new friend's privacy I have changed his name, but the Lord knows what his real name is, so pray for Thomas and the Lord will translate those prayers into the right identify. Deeply hurt, Hannah prayed to the LORD and wept with many tears. Making a vow, she pleaded, "LORD of Hosts, if You will take notice of Your servant's affliction, remember and not forget me, and give Your servant a son, I will give him to the LORD all the days of his life, and his hair will never be cut." While she was praying in the LORD's presence, Eli watched her lips. Hannah was speaking to herself, and although her lips were moving, her voice could not be heard. Eli thought she was drunk and scolded her, "How long are you going to be drunk? Get rid of your wine!" "No, my lord," Hannah replied. "I am a woman with a broken heart. I haven't had any wine or beer; I've been pouring out my heart before the LORD. Don't think of me as a wicked woman; I've been praying from the depth of my anguish and resentment." Eli responded, "Go in peace, and may the God of Israel grant the petition you've requested from Him." "May your servant find favor with you," she replied. Then Hannah went on her way; she ate and no longer appeared downcast. The next morning Elkanah and Hannah got up early to bow and to worship the LORD. Afterwards, they returned home to Ramah. Then Elkanah was intimate with his wife Hannah, and the LORD remembered her. After some time, Hannah conceived and gave birth to a son. She named him Samuel, because she said, "I requested him from the LORD." • Hannah was married to Elkanah, who was both wealthy and deeply spiritual. • Elkanah had a second wife, which was a source of tension between the two ladies. • The other wife had children, but Hannah had no children. In that culture, this was considered a negative mark against the barren woman. • These verses take place when they made their annual pilgrimage to the tabernacle to worship. • Hannah dealt with her hurt through prayer and tears. • Prayer has the power to change our attitudes, our actions and our circumstances. • Prayer does change things but does not always remove all our tears. • God designed tears to be part of the healing process when we go through difficult times. • There is nothing wrong with having a good cry every now and then. • But after we have shed our tears, then what do we do? Verse 11 - Making a vow, she pleaded, LORD of Hosts, if You will take notice of Your servant's affliction . . .
• When we are under stress, sometimes we make bad decisions that only make the situation worse. • In painful times we must pray, seek godly counsel and then consider our commitments to the Lord and to those around us. Verse 11 . . . and give Your servant a son, I will give him to the LORD all the days of his life . . .
• Hannah focused on a specific problem and made it a matter of focused prayer. • She made specific commitments to the Lord about that specific issue. • Sometimes when we are under stress we try to deal with too many issues at one time instead of focusing on the most significant issue at that moment. • Dealing with too many issues at once often makes both our thinking processes and our prayers too generic and our commitments less clear. • Specific prayer and clear commitments keep us focused during difficult times in our lives. • They want to know if our faith helps us or not. • If our faith does not help us, why would they want to follow the faith either? • Eli did not understand Hannah’s spiritual connection with God, which was sad since Eli was a priest. • People will not always understand how faith helps us in times of difficulty. Sometimes even our friends at church will not understand. • Eli thought she was drunk. • Sometimes people will think we are acting like a religious fanatic, or joined a cult or some other odd thing when it comes to how our faith helps us in times of difficulty. • Hannah may not have been understood by others, but she understood herself. • One of the things prayer does is help us sort our own thoughts and emotions so that we can hear what God is trying to say to us about our situation. • Hannah needed to get her frustrations off her chest so she shared them with the Lord. • When we share our hearts with the Lord first, it helps us be more clear when we share it with others. And then they can offer more focused support. • People can seldom understand the depth of our pain unless they have experienced the same thing in their own lives. • Eli joined her in prayer and sensed God was going to answer it soon. • Having a prayer partner is one key to finding peace in the midst of pain. • Therefore, we must not write off those who do not understand our pain the first time we share it. • They will eventually realize our deep need and join us in praying through it. • Hannah worshipped, she prayed, she poured out her heart and it really helped! • Then she had to go on with her life. Though her problem was not “solved” she found peace and strength to keep going. • Prayer, worship and sharing our burdens with others in appropriate ways can do the same thing for us. Verse 19 - . . . Then Elkanah was intimate with his wife Hannah, and the LORD remembered her. • Hannah was loved by her husband, which helped her find a great deal of peace. • Having people in our lives who love us is very important for our emotional health. • Hannah was also remembered by God. • Realizing that God has not forgotten us is also very important for our emotional health. Verse 20 - After some time, Hannah conceived and gave birth to a son…. • God gave Hannah a son, which was an answer to her specific prayer. • God will give us answers to our specific prayers if we do not try to jump ahead of God. Verse 20 - . . . She named him Samuel, because she said, "I requested him from the LORD." • However we want to interpret it, God heard Hannah’s prayer and gave her a son. • Hannah gave the glory to God by the name she gave her son. • Will we give God the glory when He answers our prayer & meets our need? • Prayer and commitment to God changes our attitudes, our actions and our circumstances. • We should talk to God about our problems FIRST, and then find a godly prayer partner. • God’s timing is not always our timing, but it is always the right time. •We should give God the glory in all things.